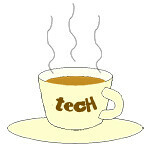 tourism « Tech bytes for tea? Under its new visa regulations, Indonesia has given visa-free facility to 169 countries. With this new regulation, the Ministry of Tourism hopes to boost international tourist visits to Indonesia. Good news to travellers planning to visit Indonesia. You may now be able to visit Indonesia without having to apply for a visa. Below are detailed information that you can check to see if the new regulations apply to you. Andrew Ng checked out Kluang’s attractions last Saturday courtesy of Tourism Malaysia Singapore. 멀라이언쿠기 (Merlion Cookie) shares HER experience at Kluang, especially the Coffee Factory, since she is a coffee lover herself. This journal is dedicated to the Korean readers out there :-). * All the pictures in this article were provided by Merlion Cookie. The Kluang Rail Coffee welcomes visitors to Kluang upon arrival at the railway station. 싱가폴 라이프중 이로운 점 하나를 꼽으라면 다른나라로 여행이 용이하다는 점이겠다. Dato’ Husni Zai Yaacob, High Commissioner of Malaysia in Singapore enjoying a hot cuppa with us. 많은 항공사들이 싱가폴을 경유하기 때문이기도 하지만, 인도네시아는 배로, 말레이시아는 버스나 기차로 당일치기 또는 1박2일 여행이 가능하다. 말레시아 관광청에서 많이 알려지지 않은 소도시를 홍보하는 당일치기여행 프로그램에 초청되어 이번 여행에 참여하게 되었다. 클루앙은 말레이시아 수도에서 버스로 2시간정도 떨어져있는 작은도시라고 하지만 서울크기의 약 4배정도 되는 규모이니 작다고 하긴 그렇지만 아무래도 수도인 쿠알라룸프에서 떨어진 곳이다 보니 발전된 시골정도의 느낌이었다. 싱가폴에서 우드랜드 체크포인트에서 출발하는 기차를 타고 여행이 시작되었다. 기차안에서는 말레이시아 관광청의 여행일정소개와 이번여행에 협력해준 말레시아 열차관계자 및 재 싱가폴 말레시아 외교관부부의 인사가 있었다. Simple but delicious food in Kluang Rail Coffee. 내가 탔던 기차는 1994년 현대에서 만들어진 꽤나 오래된 기차였다. Roasted coffee glittering like black crystals. 우리나라 무궁화열차정도라고 보면되겠지만 도착지인 클루앙까지 2시간반동안 불편한 점은 전혀없었다. Kluang is a town and district located in the state of Johor, in the southern portion of peninsular Malaysia. The city is named after the fruit bats that were once common in the region. Andrew Ng checks out a few of the many attractions that draw tourists to Kluang. If you’re a coffee lover, read about 멀라이언쿠기 (Merlion Cookie)’s journal about HER visit to Kluang. * All the pictures in this article were taken by Andrew. Kluang Coffee Powder Factory workers roasting coffee. It was a trip down nostalgia. The last time I took a train to Malaysia, I was still in high school a few decades ago. Back then, I boarded the train at the former Tanjong Pagar station. Grooving to the tune of Cek Mek Molek in the entertainment car. Fast forward to 2013, I had the opportunity to relive that memory when I was invited to make a trip to Kluang. The event was organised by the Malaysia Tourism Promotion Board, at the direction of Noor Aine Ismail and assisted by Putrie Rozana Soraya. I have to say, Malaysia pulled out all the stops to ensure the participants experience a Truly Asia hospitality. (from the right) Dato’ Husni Zai Yaacob, High Commissioner of Malaysia in Singapore; Jamaluddin Mat Lazim, Locomotive Inspector; Mohd Zain Mat Taha, General Manager KTM Intercity.